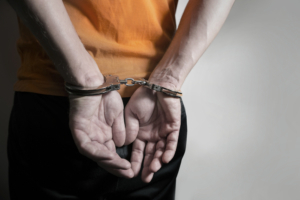 Many people think that once you have been charged for a criminal offense, there is not much that a criminal defense attorney can do to reduce the sentence. However, hiring an experienced attorney could be in your best interest. Not only can an attorney get your sentence reduced and protect you from additional charges, but they can also help get your case dismissed. Having to deal with the police or the prosecutor may not be easy if you are on your own. You may be vulnerable to being treated unfairly or taken advantage of by other parties. Moreover, if you are not an experienced attorney, you will not know the full extent of the legalities involved in your case. If you have a knowledgeable criminal defense attorney to represent you, he or she will make sure that you are treated fairly and that the laws and statutes work for you to reduce your sentence or have your charges dismissed altogether. If you are considering representing yourself, remember that if you are not familiar with the law and the legal system, you may end up incriminating yourself. With an experienced attorney by your side, you can rest assured that no such mistake will happen and that you will be represented to the fullest extent possible. Even when it comes to facing the representatives of the justice system such as the prosecutor, judge and other officials during your trial, you will always be at an advantage if you hire a criminal defense attorney who is familiar with all the proceedings. At The Law Offices of Joel Silberman, LLC, no case is too big or too small. Whether you have been issued a summons for municipal court or you have been charged with a first degree offense, you will receive the same aggressive and hard-hitting representation. If you are faced with a criminal charge and need legal representation, call (800) 889-3129 or email at joel@joelsilbermanlaw.com.